Why choose a Reel Mower? Power Reel Mowers which run on gasoline. Electric Reel mowers that run on battery. A Reel mower is a mower in which the blades spin vertically (north to south) and cut the grass in a scissor like fashion. The nostalgia of a push reel mower of the nineteen fifties and the giant reel mowers used to mow the infield of a baseball stadium is fondly mentioned in a piece ‘In praise of the Push Reel mower’ by Brett McKay. One of the drawbacks of reel mowers is that they cannot cut tall grass. Tall grass gets pushed away and manages to escape the cutting interface of the mower. We are giving below the reviews of best reel mowers in the market. Fiskars 18-in reel lawn mower is a manual push reel mower. From the house of Fiskars, the experts in scissors, the name itself inspires confidence in the product. 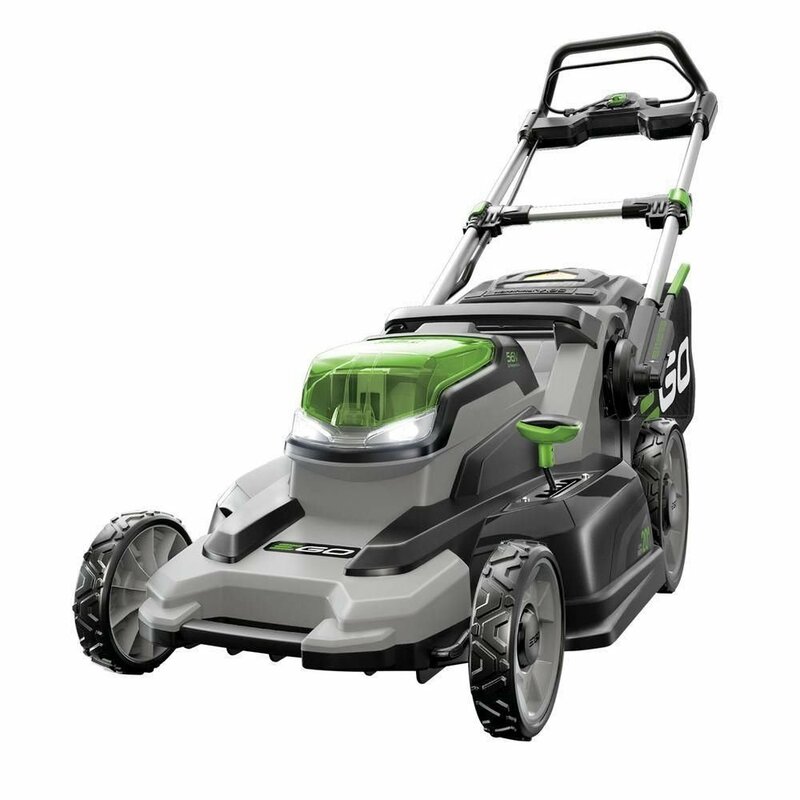 Without the hassles of gasoline, oil, engine etc, this sleek, smart and environmentally friendly mower is a top favorite, with more than 50% users on Amazon giving it a five star rating. It weighs 52 pounds with the latest technology and ergonomic design incorporated. It comes with a four year limited warranty. It has a 17’’ cutting width. Very easy to assemble, with the right wrench – it takes 15 minutes. Handle comfort – it can be held on the vertical or horizontal part. Handle level can be adjusted according to the height of the person. Height level of the cut is also easy to adjust, by reaching down and adjusting a knob on the right side. Does a good job in one pass. Cuts 70% of weeds, though it may require multiple passes. One reviewer gave it a 9/10 on the noise level factor. It is almost silent on thin grass areas, or on the second pass, but a bit noisy in the areas of thick growth. Dispersal of cut grass is extremely efficient. One user declares that he never knows where it disappear till it blows on her driveway. Works fast, almost on par with a riding mower, provided of course it is a small lawn. It is effective in mowing most types of grasses such as Bahia, St. Augustine, Zoisia, crab grass and Bermuda grass, dollarweed and thick clover. It is good value for money. Presuming it will last ten years, it costs just 20 dollars every year. Very good customer service is a pleasant surprise from Fiskars for a user, when on complaining about jammed cutter blades, was sent a new one. It can be transported easily by dismantling 2 cotter pins which detach the handle. Many owners of this machine have forsaken their gasoline run mowers. The levels of the cut should have been marked for height of grass. 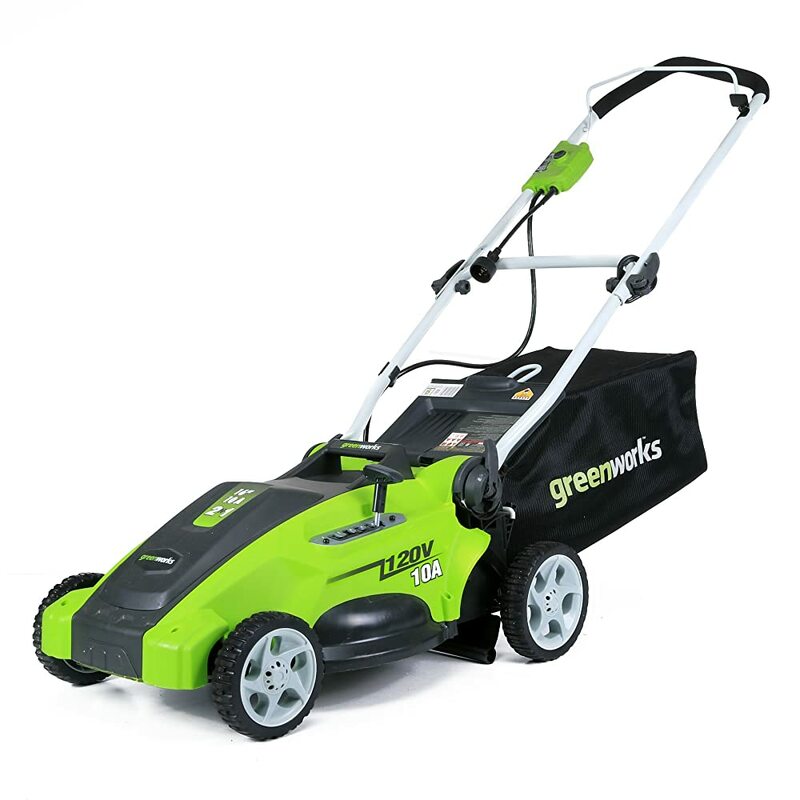 Difficult to push through a thick bed of grass, as it tends to sink in the grass bed and then you will be having to push the weight of the mower, though only 52 pounds is not really that light. Not very maneuverable. It has to be lifted and placed in a new direction if that cannot be achieved with its turning radius. Blades need adjustment every two to three months not once a year for maintaining mower efficacy. Fiskars did not honor their warranty when the mower turned out to be defective, resulting in a bad customer experience; first on account of the mower, whose reel blade and stationary blade collided with each other on account of a screw turning loose while running. This resulted in deep gouges in both blades. Secondly, when Fiskars was contacted, they alleged that the buyer may have wrongly used the product and hence was not eligible for the warranty! This is also considered the best reel mower available today. 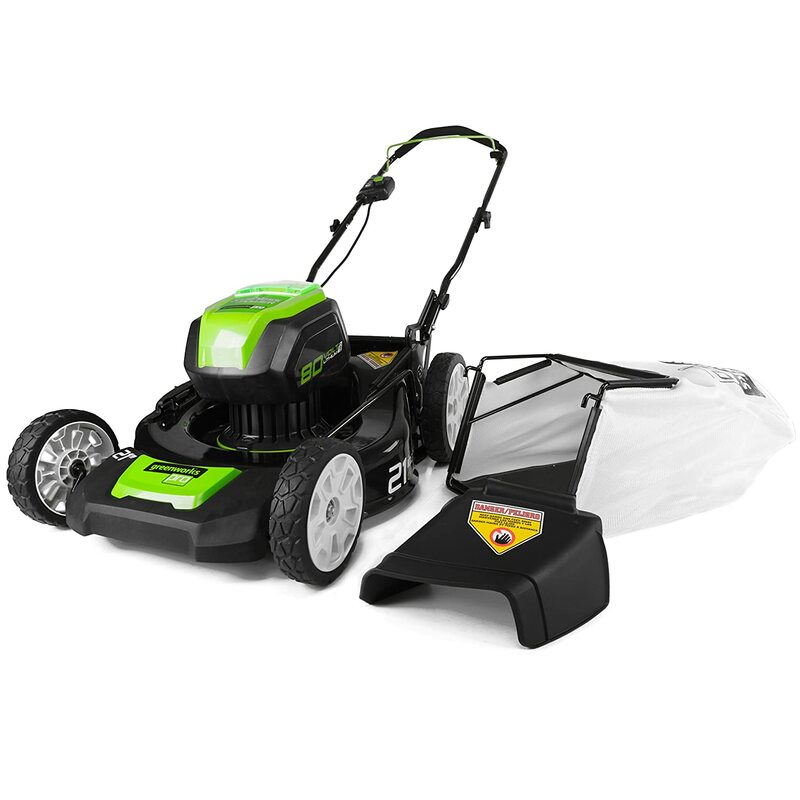 This walk behind mower comes a mid range 16’’ cutting deck with three cutting heights and a cutting reel of five blades which are heat treated for lasting longer. It has a pair of 10’’ ball bearing wheels. Extremely light at 26lbs, it is small enough to fit in anywhere in your crowded garage. It comes with a 90 day warranty. Easy to assemble – only the handles to be screwed on with metal nuts at the bottom and plastic wing nuts higher up. Good width of deck requiring fewer passes to mow the entire lawn. Noiseless, – just makes a swishing noise, unlike gas mowers. 4 spider ball bearing mounted reel for easier starting and movement. Available at really good prices on Amazon etc. The clippings provide good mulch for the lawn. Even though they are heat treated, sharpening of blades is required more often than other zero contact mowers. Cannot handle tall grass and requires several passes to cut dense growth. Not good for thick grass. The gap between the wheels and the cutting reel is significant. When the mower wheels come up against any obstacle like a wall or a fence, the area being mowed underneath will not have a properly mowed edging. Without a discount, it is considered a bit expensive. Handle bars are too thin, so they tend to slip. Require some additional padding. One review spoke of the cutting width actually being 14’’ instead of the claimed 16’’. One review was disappointed with the cheap plastic hub caps for the wheels which fell off at the first instance. The factory setting of the blade height requires adjustment in many cases. Scotts a trusted brand in garden equipment established 150 years ago in Ohio, has been helping their customers ‘express themselves on their piece of earth’. They provide holistic solutions for lawn management, like fertilizer, grass seed, pest control solutions, watering, etc. 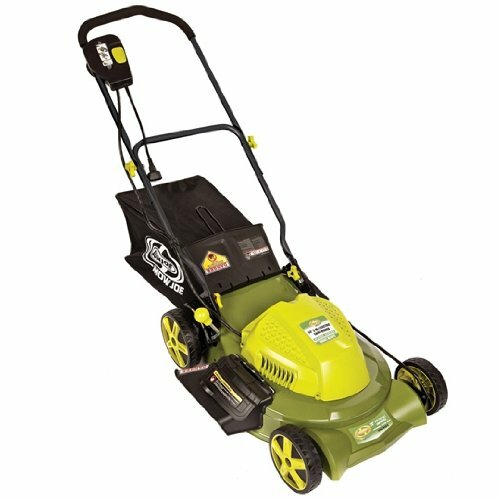 The lawn mowers that bear the Scotts brand name are actually manufactured by other lawn-mower manufacturers like John Deere etc. 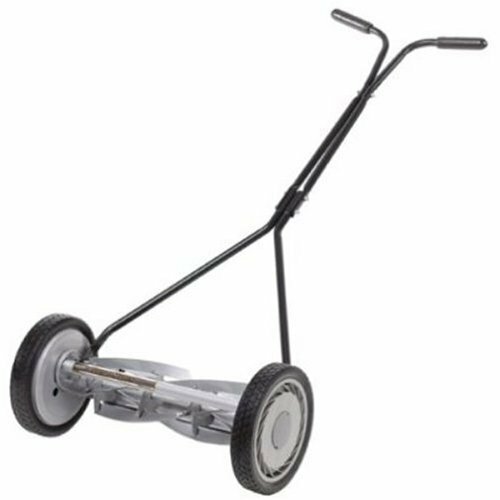 The Scotts 2000-20 20’’ Classic Push Reel Lawn mower is has a wide 20” cutting deck, with 9 cutting heights available between 1’’ and 3’’, with a simple quick snap adjustment. The reel has 5 heat treated blades. It has a composite wheel assembly, a pair 10’’ wheels with radial tires and a pair of 6’’ tracking wheels for greater maneuverability. It weighs 32 lbs and is available at a discount, for 121 dollars. This one is manufactured by American Lawn Mower Company. The scissor like action of its sharp blades is a better cutting action, which seals in the moisture of the grass blades, rather than the slashing action of a rotary mower, which doesn’t give a clean cut, leaving jagged grass blades, which become prone to disease. It is hassle free in operation without the engine related problems of a riding mower. It is environment friendly and encourages sufficient aerobic exercise for the garden owner too. There is no smoke or noise that accompanies gas driven mowers. Easy to store and maintain. The downside to any reel mower is that you cannot go on a vacation and return after a month and expect the reel mower to handle the dense growth that has taken place while you were away. Easy to assemble. Takes about half an hour. 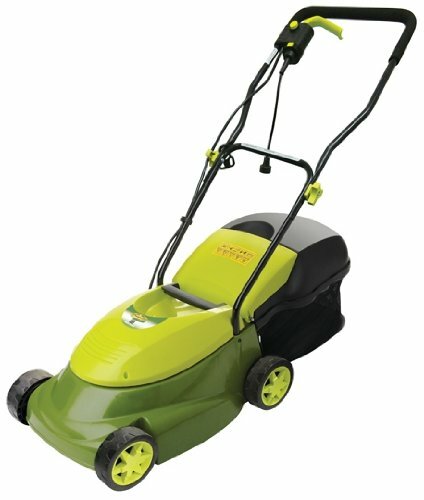 It easily does half acre lawns, is able to cut tall weeds and mow uneven areas. The height adjustment lever is conveniently placed for easy adjustment. The extra wheels give it stability. Good customer service from manufacturer America Lawn Mower Company. Easier to push than other reel lawn mowers. It is rather difficult to get the foam handle grips on. Use of some detergent powder or a lube spray is recommended. A hair spray does the trick of lubrication while fixing it on, but when it dries keeps it fixed. Doesn’t do the edges well. Gets only 2-3’’ from the outside edge of the wheels. Many customers rue the fact that they had to use it on large unkempt, undulating lawns. They do not recommend this product for a golf course look for such lawns. Clippings get thrown ahead of the mower, increasing the chances of reel getting stuck. Quite a heavy machine, this is not recommended if you have hilly sections on your lawn. Rust is seen after a few months. The e-clip (which holds the handles onto the base) from one side keeps getting dislodged. 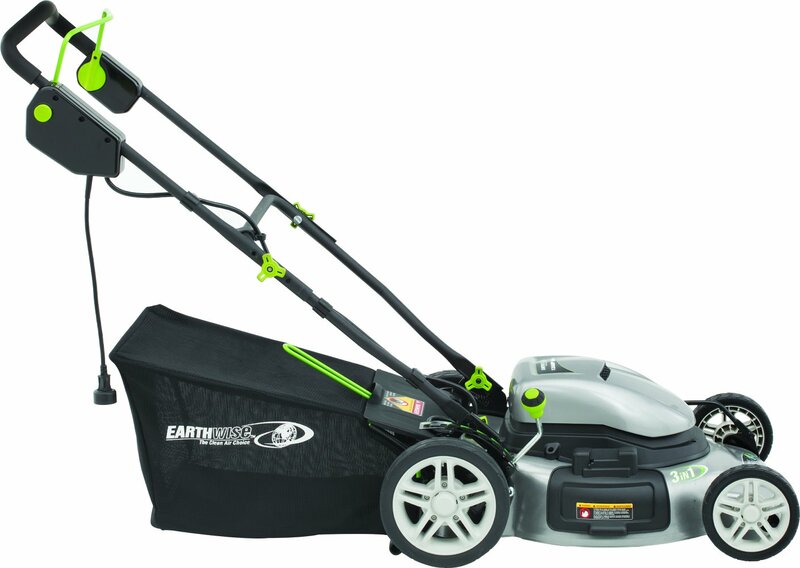 From the Earthwise stable comes this 14’’ reel mower three blade reel mower. The bed and reel blades are made from alloy steel. Cutting height can be ½’’ to 1 ½’’ by adjusting a three sectioned roller. It weighs in at 19.9 lbs. Very easy to assemble – takes less than five minutes with very clear instructions followed. Gives a clean cut even on a bumpy surface with foot high grass. No more hassles related to a gasoline power mower like starting problems, running out of fuel etc. A smaller width means there is less resistance than what a 20’’ width would have to face. So it is easier to mow, though it requires more trips up and down. Sharpening it is much easier than sharpening a rotary mower. Easy to remove obstacles like pine cones and twigs- just move the reel backwards with your foot and the obstruction falls off. This is ideal for a small lawn. Cuts down on pollution like all the mowers reviewed here. Being light, it is good for swampy lawns unlike a gas mower which would sink into the mud. Snapping on the rings requires the assistance of a hammer. The factory height is set a little low. It is not very comfortable for a tall person to use. Shorter people do not have a problem. Not a very sturdy product – the handle bars and the tubes which them to the main unit are very flimsy. In fact, for some users, in the first use itself, they have bent on themselves. Takes very long if one has to go over and over the lawn again to get rid of tall grasses. A powered mower would be less annoying. Sometimes a weed whacker is a better alternative, or it has to be used before one can use this mower. That makes double work and a good many hours spent between machines. The blades lock up too easily. 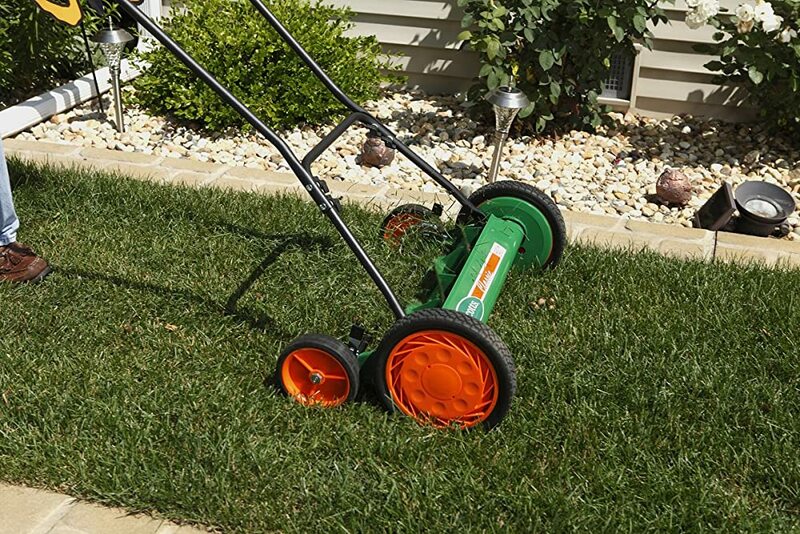 Though this reel mower is considered to be environmentally friendly, they tend to dry up the lawns or losing moisture by cutting the grass too short. In places where there is a water shortage this is not desirable. 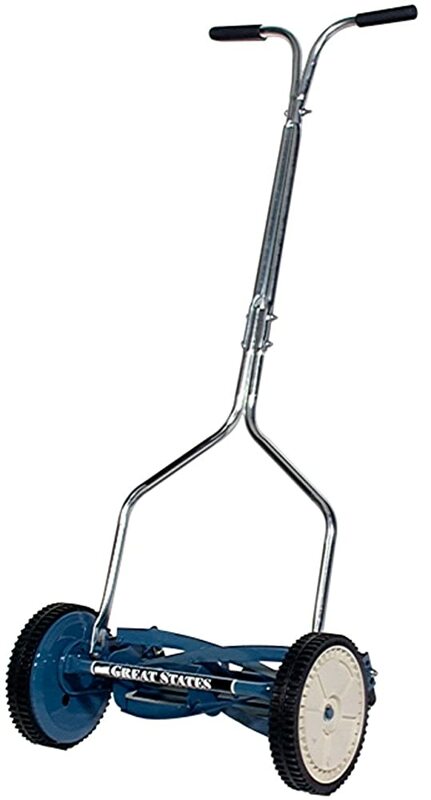 From the American Lawn Mower Company is this hand reel mower, comparable to the above product from Earthwise reviewed above. 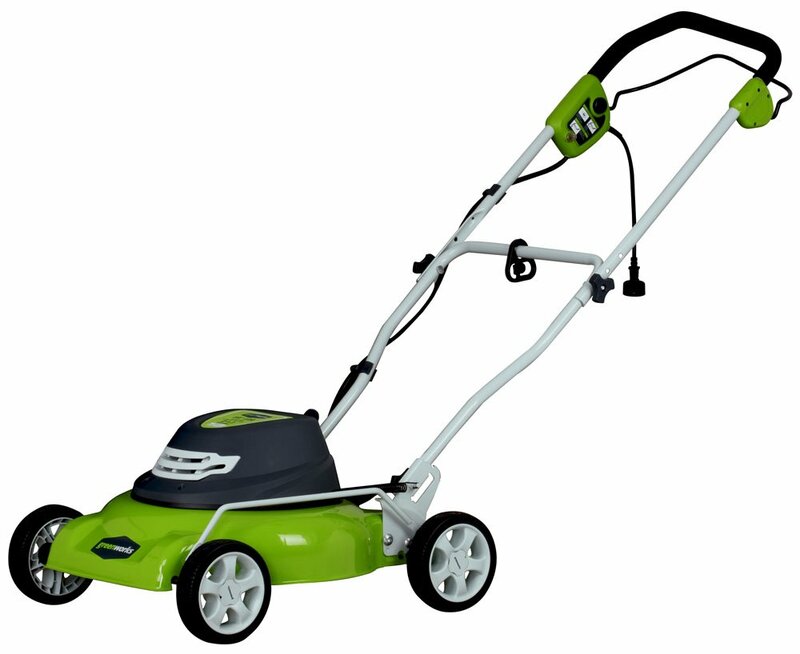 With similar specifications this one also has a 14’’ cutting width and is suitable for small lawns. It has 8 ½’’ dia polymer wheels a 3 spider 1 blade reel. Cutting height can be varied from ½’’ to 1 ½’’. This mower weighs 19lbs. Assembly – is really easy, takes a few minutes, with the instructions provided. However, the bolts cannot be tightened by hand, they need some tools. The hand assembly seems alright. Like all reel mowers, this gives the grass a clean cut, leaving it healthier. Mowing Issues Like the above mower it cannot mow tall grass.. Though this one seems small for a mowing job for anything bigger than a townhouse. 14’’ is a little more than a foot, so many trips would have to be made to cover a lawn. It does tend to leave the odd stalks of long grass without cutting them. It would be a good idea to rake up the lawn before use, as it cannot process twigs and pinecones. Being small, it works around bushes easily. It refuses to cut certain dense grasses too. But one review says it mows St. Augustine like a champ!! You do need to get some effort in making it work, but it is not gas guzzling or polluting and while working you are going to be breathing in fresh air, making mowing a pleasure instead of a chore. A grass catcher would be an ideal companion for this mower. Edging is a problem with this mower. A senior child could easily work this mower, so could an elderly person. For people with allergy problems or prone to migraine headaches because of blowing grass, this mower is a god send. There is no grass flying around, it doesn’t even raise the smell of grass while mowing. The quality is well appreciated and people expect this product to last many years. The handle can be flipped to the opposite side to facilitate easy movement between sections of the yard. Being small and light it is extremely maneuverable. It can be easily transported too. There are much less maintenance issues to take care of. Regular cleaning, sharpening the reel blades with back lapping, applying WD40 lubricant to the blades occasionally will keep it going for many years. A reel mower cuts better than a rotary mower as the cutting action is better, leaving behind healthy grass with a well manicured look. Rotary mowers work like swishing a knife in the air, and you are relying on the momentum of the grass to cut it. The cut is not very good and damages the grass. A gas mower emits ten to twelve times of emission as a typical automobile. A new generation of reel mowers have been designed to counter this sort of environmental damage. They are much lighter, yet provide a decent workout for a morning of mowing! Rear roller reel mowers – where there is a roller on the rear side which provide stability and balance to the cutter bar, ensuring a more uniform cut. Rear wheel reel mowers – where instead of a roller, two small wheels are provided at the back. These wheels may result in scalping when one of them slips into any depression in the ground, the blades are lowered and scalping happens. Contact mowers – have their blades closer to the ground to give a closer or shorter cut and also there is contact made between the bed knife and reel blades while mowing. This makes it slightly noisy. Silent cut mowers or zero contact mowers do not have the bed knife and the reel blades making contact at all. This condition cannot be altered to make the contact. It also maintains a certain space between the ground and the blades while mowing. These factors result in a quiet machine. The grass remains healthy – it seals the glass blade, keeping diseases and fungus out. Faster action depending on the number of blades on the reel. Adjustable blade spacing can manage most types of grass cutting, thick or thin. Non polluting, both air and noise-wise. The United States Environmental Protection Agency states that one hour of your riding mowers emissions can equal that of emissions from 34 new cars! Until regulations are in place for mowers, they are a real source of environmental pollution. Power mowers create a vacuum to pull up the grass for cutting. The reel mower’s snipping action causes marginal disturbance to the growth pattern of the lawn. Easy maintenance – other than cleaning and occasional oiling and sharpening of blades, no engine care etc. Cannot cut tall grasses or weeds, or thick stalks made of fibrous material. Not suitable for large yards. The wheels require traction for the reel to work. So if the surface is irregular, the wheels may slip. You have to be regular in mowing. Once a week is ideal. 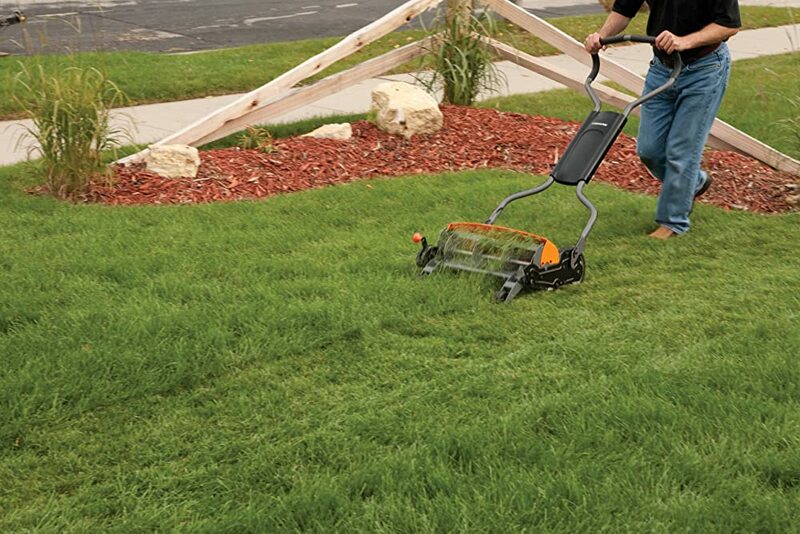 First, decide if you want a reel mower depending on the size of your lawn. Most reel mower reviews recommend a reel mower for a lawn under 2000 square feet of relatively smooth terrain. A hilly lawn is not ideal for a reel mower, unless you are willing to pant up and down several times. A lot of twigs are also not ideal for reel mowers which get damaged when the blades encounter twigs. Electric or Manual – If you think an electric mower will do the work for you with the help of a battery, you could go for that. It is also non polluting. But they are heavier than the manual ones. Grass length – Depending on the size you want to maintain the grass at, read up the specs of different reel mower brands and choose the one that offers your desired cutting height. The size of the lawn – A wider mower would suit a large lawn and a smaller one, for a smaller lawn. Light or Heavy duty – a light mower will not work on thick grasses. For this there are reel mowers which are heavy duty. 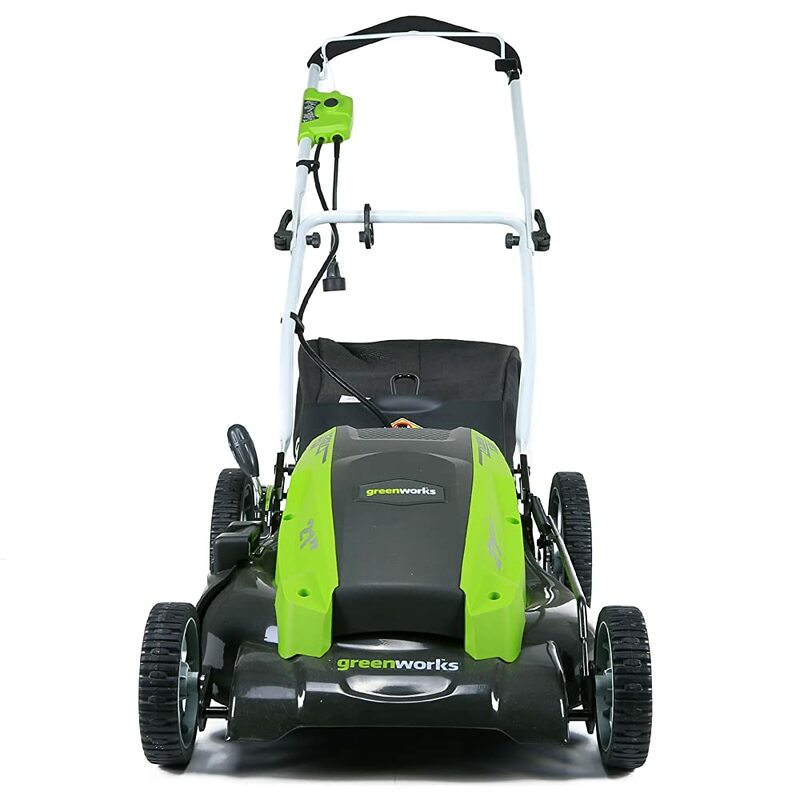 Weight – When users recommend a reel mower and the light weight of a mower at 25 pounds is an important highlight of that recommendation, it surely is a winner. A rear roller reel mower which assures a range of easily adjustable cutting heights which remains steady by virtue of having the roller in its rear is a reel mower review which can help you choose the best reel mower. Type of grass – For bent heavier grasses such as Bermuda or St. Augustine, a seven blade mower is recommended. For thinner grasses like Fescue or Kentucky Bluegrass, 4-5 blade mowers are good. Buy a reel mower if you have a small lawn, which is free of debris, rocks, twigs and is relatively even. Buy reel mower if you want a clean cut of the grass, are concerned about the environment and pollution, do not mind some regular aerobic exercise, will stick to a weekly routine of mowing. Do not buy a reel mower if you have larger property, half acre and upwards of the mowing area. 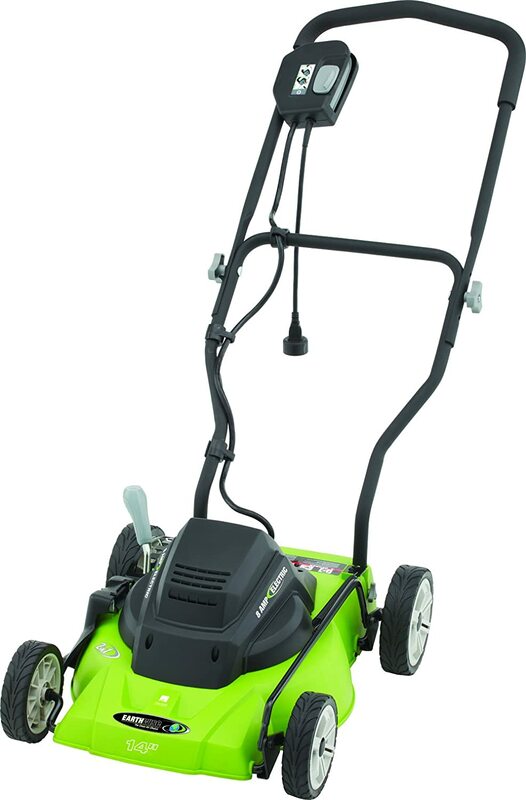 Do not buy a reel mower if your lawn has a taller variety of grass and a lot of weeds. If you have many trees on your property, twigs are a danger to a reel mower, so a rotary mower would be better. 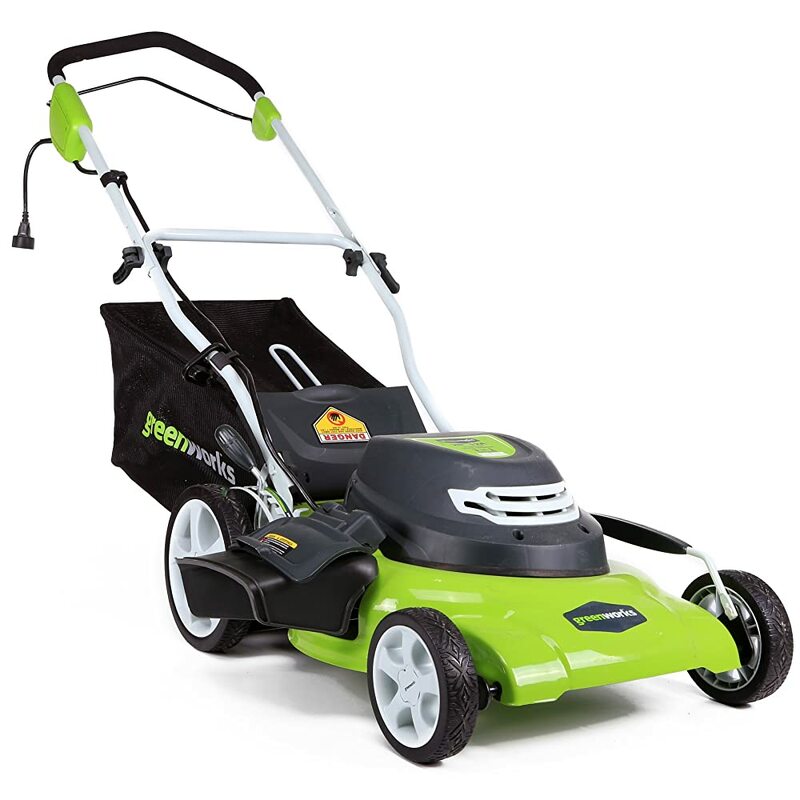 If you are inordinately fond of engines, and love to potter with them in your garage, then a reel mower is too boring for you and you would best go for a riding mower! Keep the mower out of the rain to prevent rusting. Mow regularly – Lawn management experts recommend cutting no more than one third of the length of grass at a time. So for a grass length of 3’’, grow it to about 4 and ½’’ before mowing. Bermuda and other bent grasses should be maintained at 1 and ½’’ so they have to reach a height of about 2.25’’ before you trim them. Keeping such things in mind will ensure that your mower does not get over stressed. Remove from your lawn twigs and any obstacles like rocks, debris, and preferably pull up the weeds before starting your reel mower. Twigs and rocks are notorious for damaging the blades. Follow a maintenance procedure after every third use – Clean out all the debris. Check the tires for traction. If they have become smooth, cut grooves into them as a temporary measure. Remove the wheels and grease the gears assembly which drives the reel blades around. Sharpen the blades as described above. Test the cutting action with a piece of paper. Adjust the settings accordingly. Reel mowers make your lawn look better than rotary or other walk behind mowers on account of its cutting action, which snips off and seals the grass blade, retaining its moisture and avoiding disease. Reel mowers are 60% easier to push than other pushing mowers. Rotary mowers cut tall grass well and better than reel mowers. Reel mowers use a scissor like action while rotary mowers where the blade spins horizontally from east to west uses a sucking and tearing action like a knife to cut the blades of grass. Rotary mowers are adapted very well to small engines. They can cut a variety of grass types and usually run on gasoline engines. Reel Mowers mulching action is better than that of rotary mowers. A very fine spray of grass clippings is released which decompose very quickly. Reel mowers are more effective than rotary mowers for golf courses. Reel mowers are SAFER for children to use than any other kind of mower. It seems that for some, lawn mowing has come full circle and is now being done with the simplest of mowing machines the Reel mower. They have been through gasoline powered mowers and all the complicated attendant issues of engines, air filters, carburettors, gear transmissions, smoke and noise. Many of these people have chosen to adopt environmentally friendly methods of maintaining their lawns. It is remarkable how this one machine, the Reel mower can incorporate so many features that are conducive to a healthy lawn and a pollution free environment. This perhaps is the single most positive feature of the Reel mowers.